Visitors to the iTunes Store and App Store are on Wednesday being greeting by banners asking for donations to help flooding victims in Kerala, India. Button presets allow donations in $5, $10, $25, $50, $100, and $200 increments. The full amount will be sent to Mercy Corps, an international humanitarian aid group. 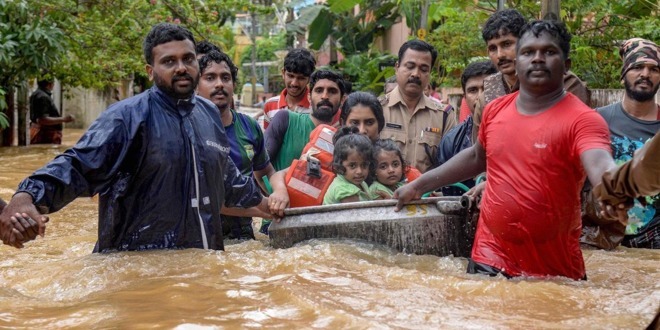 Kerala is a coastal state in southern India, and has been hit unusually hard by monsoon rains. As many as 400 or more people have died, thousands are stranded, and even larger numbers are in relief camps. Floods have actually been ongoing since early summer, but the situation worsened with recent rain. Only recently have relief operations been able to make a real impact. Apple regularly takes donations for natural disasters, such as wildfires in California and Hurricane Harvey. The Red Cross is its de facto charity in most circumstances.